At least 11 people including four children were killed when a war-damaged apartment block collapsed in the city of Aleppo, state media said. A child was the only survivor from the collapse in the formerly rebel-held area of Salaheddin, which was bombed by Syria and Russia before being retaken. 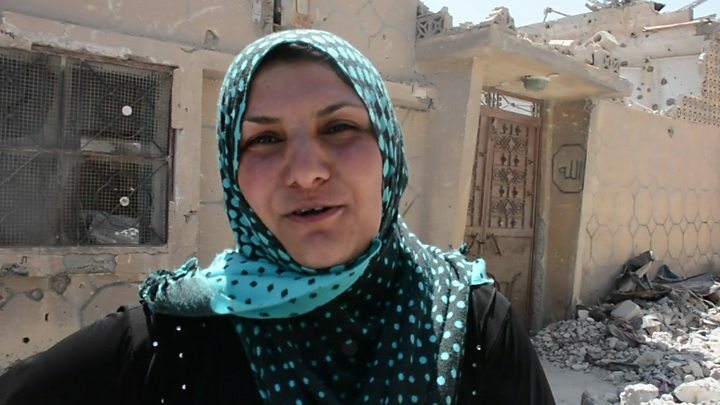 Residents have been eking out a living in ruins across Syria, with little rebuilding taking place. Syria’s authorities have so far focused their efforts on basic infrastructure. Several other buildings in Salaheddin near the five-storey block that caved in are on the brink of collapse, AFP reported. Who will help rebuild the former ‘capital’ of IS? UN satellite data from 2017 suggested that more than 35,000 structures in the city had suffered damage. The small amount of residential reconstruction that has taken place there has been carried out privately, AFP reported. What reconstruction is taking place in Syria? The collapse of the building has highlighted the problem of buildings rendered unsafe by war damage that have yet to be rebuilt. Entire cities and suburbs have been shattered by fighting between the Syrian government, rebel groups and the Islamic State (IS) group, with the Syrian government, its ally Russia and the US-led coalition against IS all carrying out thousands of air strikes. The US says it will now cost between $300bn (£230bn) and $400bn to rebuild Syria’s ruined housing and infrastructure. However the West has refused to provide funds unless there is wide-ranging political reform in Damascus. In the city of Raqqa, where IS formerly had its headquarters, the US-led coalition carried out more than 6,000 air strikes during the 2017 campaign to drive out the extremists, reducing much of the city to rubble in the process. Some families have since returned but rebuilding work there has yet to start in earnest. Other areas to see widespread destruction include the city of Homs and the Damascus suburbs of Daraya and eastern Ghouta, where government forces besieged rebels and eventually forced them to agree ceasefire deals. Last year the governor of Homs province Talal al-Barazi told AP that Syria needed a million new housing units. The Syrian authorities have imposed a reconstruction tax of 0.55% on some goods and are also appealing to the Syrian business community and expatriates to provide funds. Russia, Iran and China, who have backed Mr Assad, have made some investments in the country. Western sanctions against Syria have also made it difficult for foreign companies to work there, Reuters reported.